Yokohama Park (横浜公園) is a park located in downtown Yokohama. There is Yokohama Stadium in this park. It is second oldest western style park built in Japan, and the oldest one opened for Japanese. It is also known as tulip park because it has huge tulip garden in this park. Park was built in 1875 by Richard Brunton on the ruins of Yukaku. He also built Nihonoodori which runs in front of the park to the Yokohama port. It is loved for the relaxing spot for Yokohama workers. 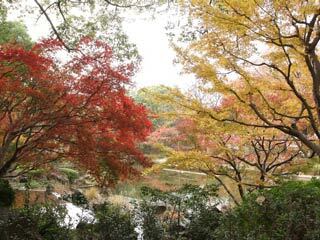 There is beautiful Koyo in Fall.